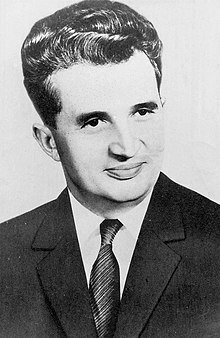 Nicolae Ceaușescu (/ˌniːkɔːˈlaɪ tʃaʊˈʃɛskuː/ NEE-kaw-LY chow-SHES-koo; Romanian: [nikoˈla.e t͡ʃe̯a.uˈʃesku] ( listen); 26 Januar 1918 – 25 December 1989) wis a Romanie Communist politeecian. He wis General Secretar o the Romanie Communist Pairty frae 1965 tae 1989, an as sic wis the kintra's seicont an last Communist leader. He wis an aa the kintra's heid o state frae 1967 tae 1989. 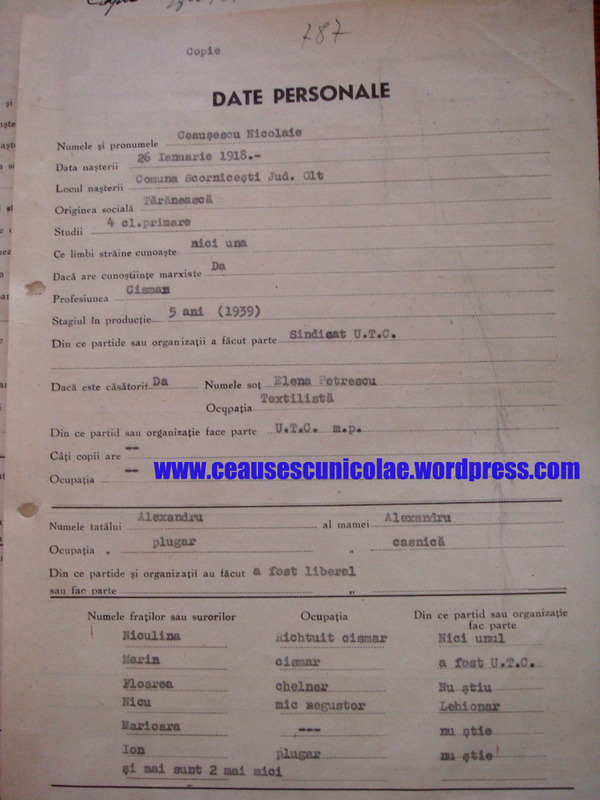 ↑ "Ceaușescu" entry in Random House Webster's Unabridged Dictionary, Random House, 1999.